It’s easy to glean the wrong meaning from such a carefully worded injunction. As with so much else in life, it’s easy to miss the point. It’s easy to be put off by the enforced piety that doesn’t sit well with Americans. It’s easy to ignore the sign altogether. It’s easy to fixate on the demand for modesty, and to disregard the outrageous and daring claim contained in the white letters printed in a sans-serif font on a brown metal sign that bears the imprimatur of the un-named Rabbi of the Western Wall and Holy Sites. It’s easy to overlook the possibility that you are about to tread very near the place where, in the words of the Rabbi, “the Divine Presence always rests.” It’s easy to be distracted by the Orthodox men and boys with their long coats, their curls, their fringes, and their hats, and the gear they’ve brought with them to pray packed into a plastic kit, tucked under their arms as they make their way to the Wall. How does one approach such a Wall; that marks the boundary of the place where the Divine Presence is said to have always dwelt? How close does one get? Is it safe to go right up to it? Is it respectful to do so? Does one touch the Wall? Or kiss it? Or fall down on one’s face in front of it? Have you brought a prayer scribbled onto a folded scrap of paper to nestle in its cracks? Do you have a prayer ready in your heart? You are nowhere near as well prepared to pray as the young IDF soldier who has produced Tefillin from somewhere, and has strapped one leather box to his head like a miner’s lamp, and is winding the other around his left arm seven times before beginning his prayers. I walked up to the Wall, and I was very aware of my breathing. It seemed wise to be cautious in one’s breathing in such precincts. I stretched out my hand. I reached for the Rock, and as my fingertips came into contact with it I closed my eyes, and checked my breathing, to slow it down a little. I don’t remember what I prayed for – I suppose I prayed for peace. I don’t know how long I stood there; it wasn’t very long. The earth did not shake beneath my feet. I opened my eyes, and in front of me I saw the Wall. Just the Wall. Nothing else. Why would anyone believe the Rabbi of the Western Wall and Holy Sites? If the Divine Presence rests there, as it has for ever, why is that Presence not more evident? Why is there only that Wall left standing, with its fanatic Orthodox believers davening before it? Why must soldiers protect the resting place of God Almighty? Why has peace not settled alongside the Divine Presence? Why is there so little to see? I would have liked to see a vision like Isaiah’s. I’d have liked to close my eyes, reach out my hand and discover that the rock has become supple in my fingertips: has taken on the texture of the hem of the robe of the Lord of hosts. I’d have like to smell the scent of incense, and felt the wreaths of smoke winding past my face. I’d have liked to have heard the suggestion, at least, of the sound of the beating of seraphic wings, and to have caught a hint of the echo of the threefold angelic Sanctus. I’d have liked to have heard the voice of the Lord speaking to me as Isaiah did. I’d have liked to have seen something as a I stood near the Divine Presence. I’d have liked to have seen the Lord. But I opened my eyes, and I saw the Wall. Why is it so hard to see God? Why was it that even Moses was only allowed to catch a glimpse of his sacred backside? Why is it that in a world where faith is faltering, God delegates the announcement of his Divine Presence to whomever it is who happens to be the Rabbi of the Western Wall. Why does he leave us to struggle with mysterious and complicated teachings about three persons in one God, as though we had to reconcile the identity issues of a pretty serious personality disorder? In 1897, the African American artist Henry O. Tanner made his first trip to the Holy Land, financed by Rodman Wanamaker. When he returned, he painted the scene that we heard described in the Gospel reading assigned for Trinity Sunday – the story of Nicodemus’s visit to Jesus by night. Nearly thirty years later, Tanner would paint the scene again in a palate of more spectral blues as the influence of impressionism takes hold of his work. In both versions of the scene, the meeting takes place on a rooftop terrace, and Tanner includes an important detail: the stairway to the roof is carefully located, and in both cases, the artist indicates that light is shining on the stairs. Nothing about the paintings suggests that the importance of the stairway is as a point of egress for Nicodemus or for Jesus. The feeling is given that the stairs are lit for the viewer: for you and for me. This is to be our way up to the rooftop, whence we may eavesdrop on the sacred instruction taking place. It is as though any of us could simply slip up the stairs to the rooftop and see the Lord. Dear Visitor, You are approaching the holy site where Nicodemus is visiting with Jesus; they have been talking here for a long time, and the Divine Presence does not seem prepared to leave any time soon. Please make sure you are appropriately and modestly dressed so as not to cause harm to this holy place or to the feelings of the other visitors who are also spying from the top of the stairs. I want to stare at Tanner’s paintings long enough to close my eyes and allow myself to creep up the lighted staircase and look and listen. I want to feel the evening breeze in Jerusalem blow across my face. I want to hear the words it carries reach my ears: “I tell you, no one can see the kingdom of God without being born from above…. I want to see what Tanner seems to have seen without ever having seen it. I want to bring all the prayers I can remember with me up that staircase, and all the prayers I cannot remember. I want to press a stack of them, scrawled on scraps of paper, into Jesus’ hand, and I want to implore him to answer them, or at least to answer the prayer for peace. I want to feel the earth shift under my feet as I draw closer to him. I want to hear the beat of seraphic wings, and the echo of the threefold angelic Sanctus. I’d like to smell the certain odor of incense that hangs in the air in his nearer presence. I want to be able to open my eyes and see the Lord, right there in front of me, in spectral but alive brushstrokes of blues. But when I open my eyes, I find instead that I am in front of a brownstone wall. And all I have in common with Tanner’s vision is Philadelphia. And the cracks in the brownstone walls are not spaces to place prayers, but obvious signs of deferred maintenance. 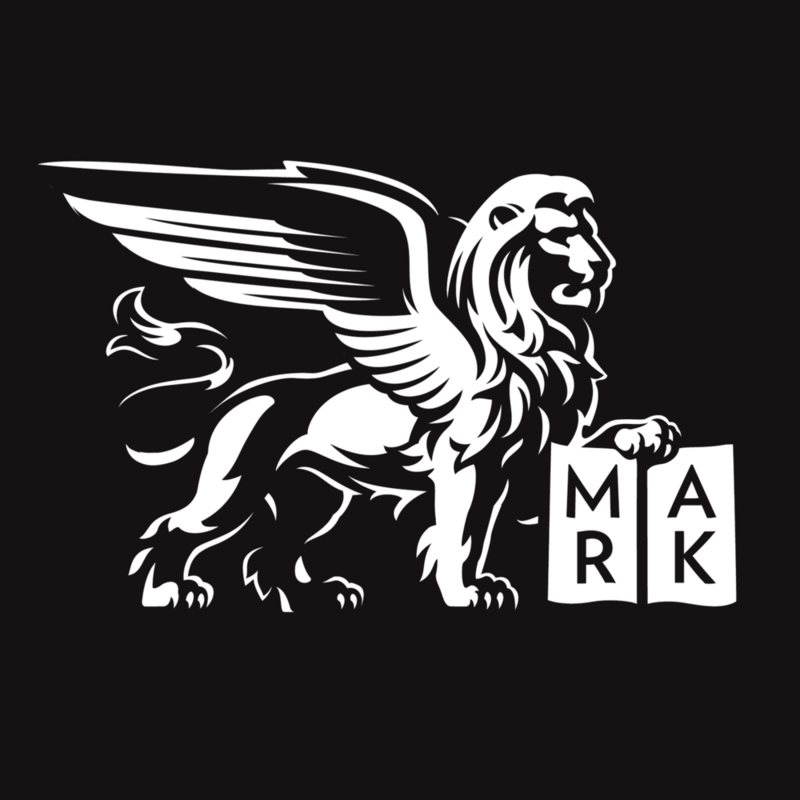 And I am not on a rooftop in Jerusalem; I am right here with you in Saint Mark’s. And I am stymied again by the mystery of the Holy Trinity, and wondering what in the world they can be saying about it in church over on the other side of the Square. And I catch hint of the scent of incense in the air. And I look up at you, who I see gathered here faithfully to pray. And I think of the light burning on the staircase in the painting. And of the sign: Dear Visitor, you are approaching the site where the Divine Presence always rests. And I look down at the small disk of bread in my hands. And I look again at you, and these stone walls around us. And I think that perhaps that when I opened my eyes I saw the Lord too. I think we are on a lighted staircase. I think the Divine Presence has always rested here too. And I know these are mysteries too deep to fathom. But I suspect I should let the light speak for itself, and I should simply guard the stairs to make sure anyone who wishes may climb them. Posted on June 4, 2012 by Sean Mullen.